Union Railways Minister Piyush Goyal has dedicated India’s first railway university to the Nation in Vadodara on 15 December 2018. The Railway University will be the third in the world after Russia and China. It will be a deemed university which will offer professional courses in technology and management of transportation networks. The chairman of Railways Board Sh. Ashok Lohani has been named the Vice Chancellor of the University. Indian-American Shree Saini has won Miss India Worldwide 2018 title at a pageant held in the Fords City of New Jersey. Sakshi Sinha from Australia and Anusha Sareen from the United Kingdom were respectively declared first and second runner-ups in the competition. The Miss India Worldwide pageant is organised by the New York-based India Festival Committee (IFC) which is headed by Dharmatma Saran in New York, USA. On December 15, 2018, Union Ministers Jitendra Singh and Shripad Yesso Naik (Ayush Ministry) laid the foundation stone of Institute of High-Altitude Medicinal Plants (IHAMP). It will provide research in medicinal plants and will help the farmers in cultivation of medicinal plants in a scientific manner. The Indian Defense Minister Nirmala Sitharaman recently met Russian Defence Minister General Sergei Shoigu at the 18th meeting of the India-Russia Inter-Governmental Commission on Military Technical Cooperation (IRIGC-MTC) that was held in New Delhi. In the meeting, a wide range of issues were discussed regarding defence equipment, industry and technological cooperation between India and Russia. The IRIGC-MTC was set up in 2000 and the First meeting of the IRIGC-MTC was held in Moscow in 2001. 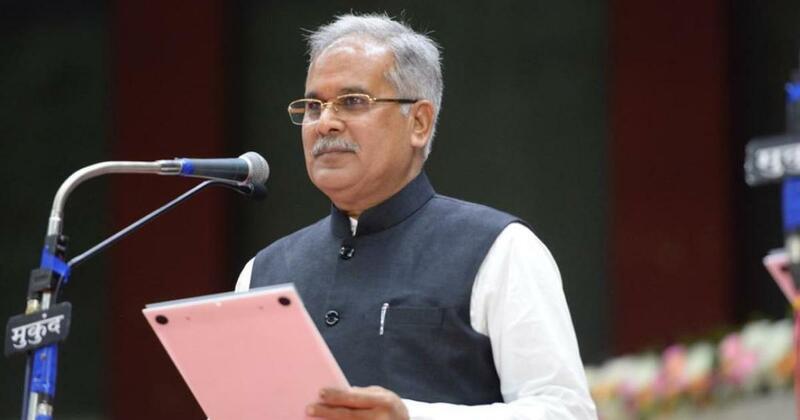 Bhupesh Baghel, who is also the president of Chhattisgarh Congress Committee, will be the new chief minister of the state. The assembly constituency of Bhupesh Baghel is Patan in District Durg. He is set to become the third chief minister of Chhattisgarh after the INC won the majority of seats in Assembly elections held in November 2018. The Incumbent Chief Minister of Chhattisgarh Sh. Raman Singh resigned from his post on 11th December 2018. On 16th December 2018, Ranil Wickremesinghe has once again become the Prime Minister of Sri Lanka after the end of the weeks-long political crisis in the island nation. On 26th October 2018, Mr. Ranil Wickremsinghe was ousted as Prime minister of Sri Lanka and was replaced by Mahinda Rajapaksa. Ranil Wickremesinghe has also been the Prime Minister of Sri Lanka from 1993 to 1994 and 2001 to 2004. Belgium Hockey team won their first ever Word cup title on 16th December 2018 after they defeated The Netherlands. Belgium, which also won a silver medal in Rio Olympics 2016, made history by beating the opponents by 3-2 in the penalty shoot-out after finals ended without any goal. The 14th edition of Hockey World Cup was held at Kalinga Stadium in Bhubaneshwar, Odisha from 28 November to 16 December 2018. India came at sixth place in the Hockey World Cup 2018. 1. Where is the India’s first railway university opened? 2. Who won the Miss India Worldwide 2018 title? 3. Where was the first meeting of the India-Russia Inter-Governmental Commission on Military Technical Cooperation (IRIGC-MTC) held? 4. Who will be the third chief minister of Chhattisgarh? 5. On which day Vijay Diwas is celebrated in India? 6. Vijay Diwas marks the victory of India over Pakistan in _____ war? 7. Who replaced Ranil Wickremesinghe as the prime Minister of Srilanka after he was ousted from his post? 8. Who won the Hockey World Cup 2018?